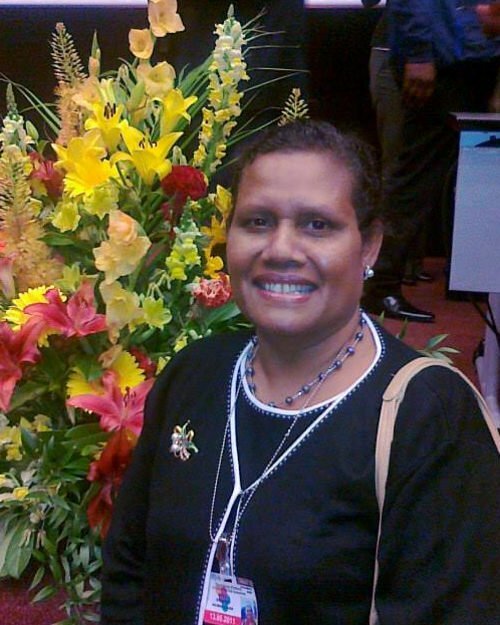 Ethel Falu Sigimanu has been instrumental in advancing gender equality and women’s human rights in the Solomon Islands. She is one of the longest-serving permanent secretaries in the Solomon Islands government, having spent the past 10 years with the Ministry of Women, Youth, Children and Family Affairs. During this time, she has taken leadership and has been influential in the work towards the passage of the Family Protection Act 2014 which is the first domestic violence legislation in Solomon Islands; the Child and Family Welfare Act 2017; developed and reviewed National Gender Equality and Women’s Development policies and conducted a study on Family Health and Safety. Ms Sigimanu also serves on a number of national and regional boards particularly in the areas of gender and human rights. This portrait of Ethel Falu Sigimanu was first published by the Pacific Community for the 70 Inspiring Women campaign, it is reproduced here (with some modifications of our own) with their permission.